The press conference at the White House between President Donald Trump and Prime Minister Paolo Gentiloni (Palazzo Chigi Photo). The meeting between Donald Trump and Paolo Gentiloni at the White House seems to be going in the best way possible, until, the President of the United States answered a question on Libya, giving the opposite response to what the premises of the topic and Italian hopes were. Then, incredibly, he stops listening to the translation while his interlocutor is still speaking. On the surface, the visit of the Italian prime minister to the White House seemed like it went great. Yes, President Donald Trump filled the country of Verdi and Pavarotti, a great friend of his, with praise for its culture and thousand-year-old history. 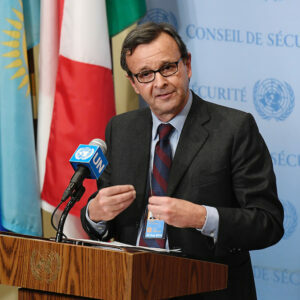 But in reality, the Italian government goes back to Italy with a validation of what has been suspected for a while now: when talking about stabilizing Libya, which is the top problem for Italian national interests and is tied to the refugee crisis – and to energy sources as well, – Italy can’t county on the US. 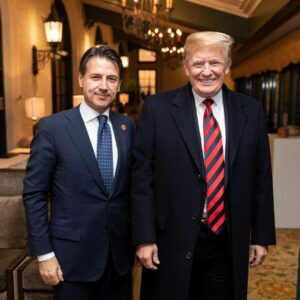 After the bilateral dialogue, at the beginning of the press conference in the East Room, Trump started to speak about Italy and covering it in glory as a country that gave so much to America thanks to its “18 million Italian-Americans living in the United States.” It seemed that by using his soft spot for the “spectacular country that [he knows] really well,” Gentiloni convinced the President to comply with what Italy cares about the most at the moment: getting the USA’s promise to help stabilizing Libya and containing the expansion of Islamic fundamentalist movements and Russia in the Mediterranean, which is now clear to anyone who is willing to see it. 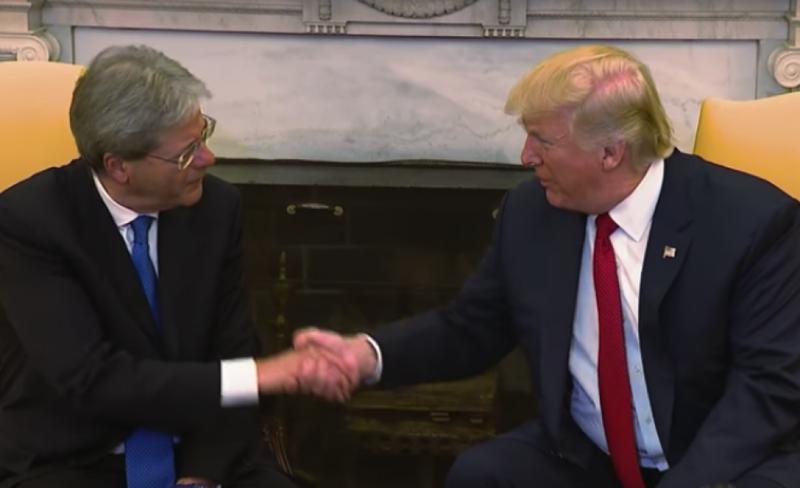 The handshake between Gentiloni and Trump (White House Photo). When a journalist from Radio Rai had the chance to ask a question, Trump’s friendly face towards Italy became a face of insult towards Gentiloni. Before the conference started, we learned from some officials from the embassy that it was already established who would ask the questions: two from the American journalists and two from the Italian journalists. 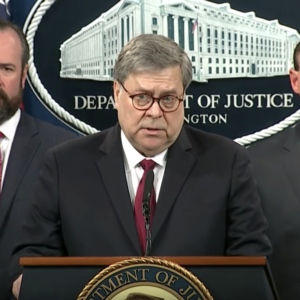 Not only were the number of questions already established, but also who would ask them…We didn’t understand how the four journalists had been chosen and if the people who chose them knew what kind of questions they would have asked. The Summit of the two leaders was also influenced by the news coming from Paris in that same moment. “Our condolences from our country to the people of France. It looks like another terrorist attack. 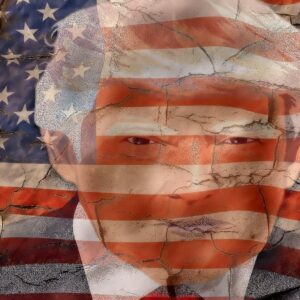 We have to be strong and we have to be vigilant,” said Trump. 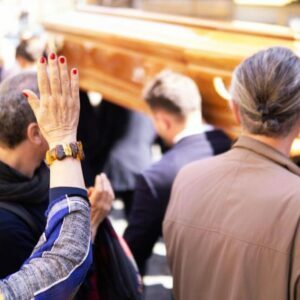 “I join President Trump’s words for what happened in Paris: condolences and closeness to the French people and government in this very delicate period for them, just three days before the elections,” commented Gentiloni. Is he saying it right then for the first time or did he already pre-announced it to Gentiloni one-on-one? Throughout the press conference, the Italian prime minster talks in a very clear and precise way, but now he appears fatigued and down in the dumps to us Italian journalists sitting in the first row. It’s just an impression, a sensation we have, not a certainty, but I believe that even Gentiloni felt embarrassed in front of that American president that denies his help on Libya in such a public way. Especially after Gentiloni asked for that help just a few moments ago and in the CSIS’s speech in the morning. And then, there is an “accident” that should mortify the prime minister, and that maybe – thankfully – he doesn’t realize what all the journalists in the room noticed. In fact, while Gentiloni keeps on speaking, Trump, who took his earpiece out to listen to the question on Europe asked before by another Italian journalist in English, does not put the earpiece back in for the final part of the conference. That means that when Gentiloni speaks in Italian, Trump, who alternates a smile with a harsh and challenging look, doesn’t understand a thing of what the prime minister is saying. It wasn’t for long and, yes, it was just for the last few minutes of the press conference, but it wasn’t a pretty picture. It was embarrassing and, above all, in clear contrast with the warm welcome Trump gave Gentiloni – at least in words – at the beginning of the press conference. 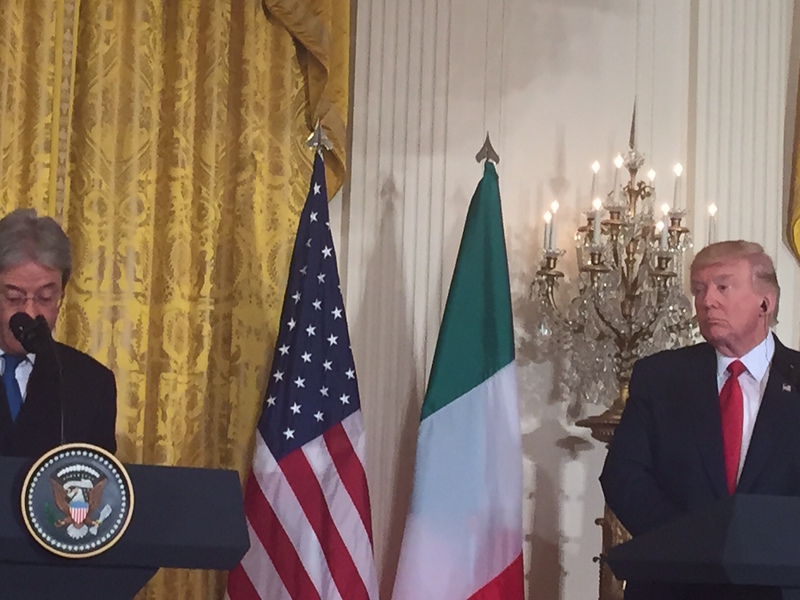 Paolo Gentiloni and Donald Trump during the press conference at the White House (VNY Photo). On his part, even Gentiloni got some things off his chest during the press conference. For instance, when answering the question of a colleague from Sky Italia, he stressed that Italy is not military present in Syria and it won’t be in the future. And, when Trump insisted that we should raise the NATO expenses to 2%, the Italian prime minster explains that Italy will do it progressively: “we made a commitment.” In 10 years, explains Gentiloni, our investments grew from 1.2 to 1.4%, spending 23.4 billion of Euros in 2014. But the prime minister goes to show that he intends to take his time: Italy will do it in its own time, not when Washington imposes it. 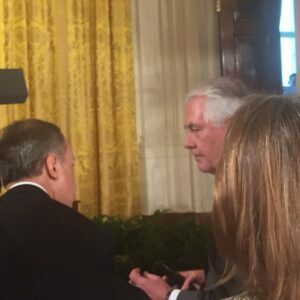 The Italian Ambassador in Washington Armando Varicchio (left) exchanges ideas with the US Secretary of State Rex Tillerson just few moments before the press conference at the White House (VNY Photo). We saw the press conference from the first row, but we knew two hours before it started that we couldn’t even try to ask a question. The “chosen ones” were already designated. What a shame. We had a question ready for both Trump and Gentiloni, which was in theme with the bilateral dialogue. A question that was connected to the new foreign policies of the Trump’s administration and to our experience at the UN headquarters. 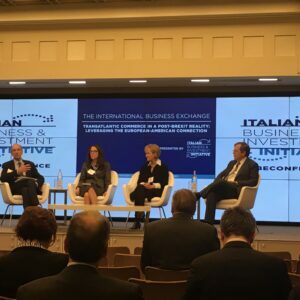 The question we would have liked to ask was this: President Trump, Prime Minister Gentiloni, could you better explain what would the consequences be of the new “assertive”American foreign policy on the relationship between Italy and the United States? 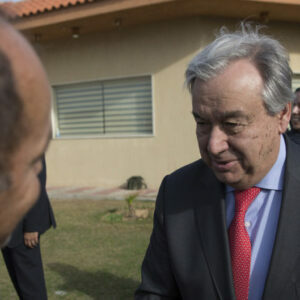 In her first day at the UN headquarters, the American Ambassador Nikki Haley explained to the journalists that the United States will keep a list with all the countries that don’t do what they promised they would…Therefore, President Trump and Prime Minister Gentiloni, do you already know what Italy should do and should not do, in order to avoid ending up on “Trump’s list,” the list of all the undisciplined allies to punish? 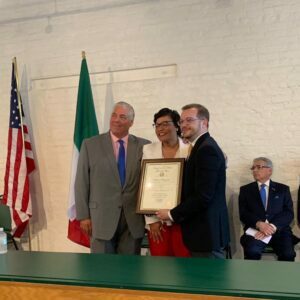 Is it possible that someone from the White House staff, in charge of preparing Gentiloni’s file before his visit, read this article on the internet?